Emerging lithium miner Sayona Mining Limited (ASX:SYA) (OTCMKTS:DMNXF) today reaffirmed its commitment to developing its Authier Lithium Project in Quebec, Canada into a sustainable and profitable new lithium mine, supporting the province&apos;s ambitions to be at the forefront of the global lithium-ion battery revolution. Sayona Mining Ltd (ASX:SYA) (OTCMKTS:DMNXF) provides the Company&apos;s latest presentation at Australian Energy and Minerals Conference. Sayona Mining Ltd (ASX:SYA) (OTCMKTS:DMNXF) present their report of the Company and its controlled entities for the half-year ended 31 December 2018. Emerging lithium miner Sayona Mining Limited (ASX:SYA) (OTCMKTS:DMNXF) has committed to further building community support for a sustainable and profitable new lithium mine in Quebec, Canada, following a regulatory decision concerning the permitting process for its Authier Lithium Project. 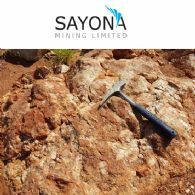 Sayona Mining Limited (ASX:SYA) (OTCMKTS:DMNXF) is pleased to announce the activities report for the quarter. Emerging lithium miner Sayona Mining Limited (ASX:SYA) (OTCMKTS:DMNXF) has stepped up its community engagement efforts, announcing the opening of Sayona Quebec&apos;s new office at La Motte and appointing a new manager, sustainable development to ensure a successful and sustainable new mine at the company&apos;s Authier Lithium Project. Emerging lithium miner Sayona Mining Limited (ASX:SYA) (OTCMKTS:DMNXF) has added to its Western Australia lithium portfolio, announcing today the exercise of the final option payment to Great Sandy Pty Ltd to acquire an 80% interest in six tenements covering 871 km2 in the world-class Pilgangoora lithium district. Sayona Mining Ltd (ASX:SYA) (OTCMKTS:DMNXF) provides the Company&apos;s presentation at Annual General Meeting. Emerging lithium miner Sayona Mining Limited (ASX:SYA) (OTCMKTS:DMNXF) announced today its confidence in the approvals process for its flagship Authier Lithium Project, with the company targeting the necessary permits by September 2019. Emerging lithium miner Sayona Mining Limited (ASX:SYA) (OTCMKTS:DMNXF) announced today the results of recent drilling at its Mallina spodumene pegmatite project, highlighting its economic potential among the Company&apos;s projects located in Western Australia&apos;s world-class Pilgangoora district. Sayona Mining Ltd (ASX:SYA) (OTCMKTS:DMNXF) provides the Company&apos;s Annual Report to shareholders. Emerging lithium miner Sayona Mining Limited (ASX:SYA) (OTCMKTS:DMNXF) announced today the appointment of experienced mining industry communications and external relations specialist, Alexis Segal, to the role of Sayona Quebec Vice President, Corporate Affairs. Emerging lithium miner Sayona Mining Limited (ASX:SYA) (OTCMKTS:DMNXF) announced today a positive definitive feasibility study for its flagship Authier Lithium Project in Canada, which demonstrates the project&apos;s potential to deliver a profitable and sustainable new lithium mine that will provide new jobs, investment and other benefits for all stakeholders. Emerging lithium miner Sayona Mining Limited (ASX:SYA) (OTCMKTS:DMNXF) announced today an expanded Ore Reserve estimate based on the Definitive Feasibility Study for the Authier lithium project in Quebec, Canada. Your Directors present their report on the consolidated entity consisting of Sayona Mining Limited Sayona Mining Ltd (ASX:SYA) (OTCMKTS:DMNXF) and its controlled entities for the financial year to 30 June 2018. Sayona Mining Limited (ASX:SYA) (OTCMKTS:DMNXF) is pleased to report an exploration update at its 1,898km2 project area in the Pilgangoora district of Western Australia. Sayona Mining Limited (ASX:SYA) (OTCMKTS:DMNXF) is pleased to announce the assay results of selective grab samples taken at the Tansim lithium project in Quebec, Canada. Sayona Mining Ltd (ASX:SYA) (OTCMKTS:DMNXF) provides the Company&apos;s latest presentation at Noosa Mining Conference. Sayona Mining Limited (ASX:SYA) (OTCMKTS:DMNXF) is pleased to announce the commencement of exploration activities at the Tansim lithium project in Quebec, Canada. Sayona Mining Limited (ASX:SYA) (OTCMKTS:DMNXF) is pleased to report an exploration update at its 1,818km2 project area in the Pilgangoora district of Western Australia. Sayona Mining Limited (ASX:SYA) (OTCMKTS:DMNXF) is pleased to announce that it has completed all of the major environmental studies for the Authier lithium project in Quebec, Canada. In addition, the Company provides the following update on permitting activities for the project. Sayona Mining Limited (ASX:SYA) (OTCMKTS:DMNXF) advises the Company&apos;s Authier mining project be subject to the environmental impact assessment and review procedure, unless the Company undertakes to file an application to give the Office of Public Hearings on the Environment the mandate to hold a public hearing. 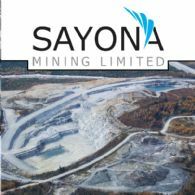 Sayona Mining Limited (ASX:SYA) (OTCMKTS:DMNXF) is pleased to provide shareholders an update of activities at the Authier project in Quebec, Canada. Sayona Mining Limited (ASX:SYA) (OTCMKTS:DMNXF) is pleased to report the commencement of a testing program to produce lithium carbonate and lithium hydroxide from the Authier pilot plant lithium concentrate. Sayona Mining Limited (ASX:SYA) (OTCMKTS:DMNXF) advises that the $3.9 million one for twenty-two renounceable rights issue as announced on 4 May 2018 closed on 24 May 2018. Sayona Mining Ltd (ASX:SYA) (OTCMKTS:DMNXF) provides the Company&apos;s latest Investor Presentation titled "Developing an Advanced Stage Lithium Project in Canada". Sayona Mining Limited (ASX:SYA) (OTCMKTS:DMNXF) is pleased to announce the completion of the Authier lithium project pilot plant operation at SGS Canada Inc..
Sayona Mining Limited (ASX:SYA) (OTCMKTS:DMNXF) confirms that the Prospectus and personalised Entitlement and Acceptance Forms relating to its pro rata renounceable entitlement issue announced on 4 May 2018, have today been despatched to shareholders eligible to participate in the Offer. Sayona Mining Limited (ASX:SYA) (OTCMKTS:DMNXF) has today sent letters to eligible and ineligible shareholders respectively, in accordance with the ASX Listing Rules. 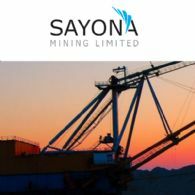 Sayona Mining Limited (ASX:SYA) (OTCMKTS:DMNXF) is pleased to announce a pro rata renounceable entitlement issue to Eligible Shareholders to enable them to participate in the Company&apos;s capital raising activities. Sayona Mining Limited (ASX:SYA) (OTCMKTS:DMNXF) announces that Mr Corey Nolan has tendered his resignation as Chief Executive Officer. Mr Nolan will continue in his role until the completion of the Definitive Feasibility Study which is expected in June 2018. 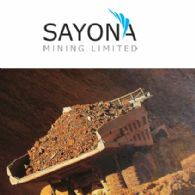 Sayona Mining Limited (ASX:SYA) (OTCMKTS:DMNXF) refers to its announcement on 18 April 2018 concerning a proposed pro rata renounceable entitlement issue of 1 new share for every 22 shares held on the record date, with 1 free attaching option for every 2 new shares issued. Sayona Mining Limited (ASX:SYA) (OTCMKTS:DMNXF) is pleased to announce that it has received firm commitments from international and domestic institutional, and sophisticated investors for an A$11 million Placement, and intends to undertake a pro rata renounceable Rights Issue to raise a further A$4 million. The terms of the Placement and Rights Issue are outlined below. Sayona Mining Limited (ASX:SYA) (OTCMKTS:DMNXF) is pleased to announce that the Company held information sessions to present the Authier Lithium Project to local stakeholders. Sayona Mining Limited (ASX:SYA) (OTCMKTS:DMNXF) is pleased to report the following update on the pilot plant program underway at SGS Lakefield for the Authier Lithium Project. Sayona Mining Limited (ASX:SYA) is pleased to announce an updated independent JORC Mineral Resource estimate for the Authier lithium project. Sayona Mining Limited (ASX:SYA) (OTCMKTS:DMNXF) is pleased to announce the assay results from the Phase 3 drilling program at the Authier lithium project, Quebec. Sayona Mining Limited (ASX:SYA) (OTCMKTS:DMNXF) is pleased to announce the strengthening of the Authier technical team with the appointment of Jarrett Quinn and Jean-Pierre Landry as Authier Process Engineer and Project Director, respectively. Sayona Mining Ltd (ASX:SYA) (OTCMKTS:DMNXF) is pleased to announce the completion of an airborne geophysics survey at the Tansim lithium project in Quebec, Canada. 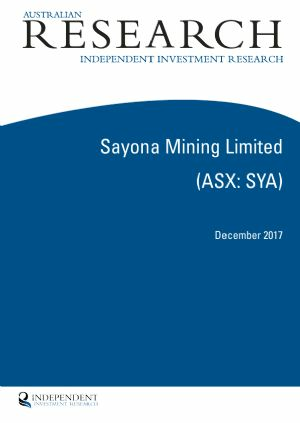 Sayona Mining Ltd (ASX:SYA) (OTCMKTS:DMNXF) present their report of the Company and its controlled entities for the half-year ended 31 December 2017. Sayona Mining Ltd (ASX:SYA) (OTCMKTS:DMNXF) provides the Company&apos;s latest Presentation at Energy and Battery Minerals Investor Conference. Sayona Mining Ltd (ASX:SYA) (OTCMKTS:DMNXF) provides the Company&apos;s latest Presentation at RIU Explorers Conference. Sayona Mining Limited (ASX:SYA) (OTCMKTS:DMNXF) is pleased to announce the commencement of the pilot plant program for the Authier Lithium Project. The pilot program is being completed by SGS Canada at Lakefield, Ontario. SGS has extensive experience in developing spodumene concentration flowsheets. Sayona Mining Ltd (ASX:SYA) (OTCMKTS:DMNXF) provides the Company&apos;s latest Investor Presentation. Sayona Mining Limited (ASX:SYA) (OTCMKTS:DMNXF) is pleased to announce the staged acquisition of the Tansim lithium exploration project in Quebec, Canada. Sayona Mining Limited (ASX:SYA) (OTCMKTS:DMNXF) is pleased to announce that the Phase 3 drilling program has recommenced at the Authier lithium project in Quebec, Canada. Sayona Mining Limited (ASX:SYA) (OTCMKTS:DMNXF) is pleased to provide shareholders an update of activities planned for 2018. Sayona Mining Limited (ASX:SYA) (OTCMKTS:DMNXF) is pleased to announce that it is making the first stage option payment to Great Sandy Pty Ltd to acquire a 694 km2 package of 6 tenements in the world-class Pilgangoora lithium district of Western Australia. Sayona Mining Limited (ASX:SYA) (OTCMKTS:DMNXF) is pleased to provide an update on the progress of the Phase 3 drilling program at the Authier lithium project in Quebec, Canada. Sayona Mining Limited (ASX:SYA) (OTCMKTS:DMNXF) is pleased to advise that Independent Investment Research has a released an updated research report on the Company titled "Solid Progress On All Fronts - Update December 2017". The Company commissioned IIR to write this research report. IIR is an independent investment research house based in Australia and the United States. Sayona Mining Limited (ASX:SYA) (OTCMKTS:DMNXF) is pleased to announce that the main components of Authier Definitive Feasibility Study including, the mining, processing and infrastructure have been awarded to BBA. Sayona Mining Limited (ASX:SYA) (OTCMKTS:DMNXF) is pleased to announce the results of the Optimised Pre-Feasibility Study for the Authier lithium project in Canada. The PFS incorporates the new expanded JORC Mineral Resource, results from a number of technical optimisation programs, and realignment of pricing to reflect a concentrate grade of 6% Li2O and more recent industry forecasts. Sayona Mining Limited (ASX:SYA) (OTCMKTS:DMNXF) is pleased to announce an expanded Ore Reserve estimate based on the Optimised Pre-Feasibility Study for the Authier lithium project in Quebec, Canada. Sayona Mining Limited (ASX:SYA) (OTCMKTS:DMNXF) is pleased to announce an updated independent JORC Mineral Resource estimate for the Authier lithium project. Sayona Mining Limited (ASX:SYA) (OTCMKTS:DMNXF) is pleased to report the third phase of metallurgical testing results for the Authier lithium project. Sayona Mining Ltd (ASX:SYA) (OTCMKTS:DMNXF) provides the Company&apos;s presentation to be given by Mr Corey Nolan at the 2017 International Lithium, Graphite & Cobalt Conference in Hong Kong. Sayona Mining Limited (ASX:SYA) (OTCMKTS:DMNXF) is pleased to announce the commencement of the Phase 3 drilling program at the Authier lithium project, Quebec. Sayona Mining Limited (ASX:SYA) (OTCMKTS:DMNXF) is pleased to announce the signing of a non-binding Memorandum of Understanding with leading China based battery manufacturer, Huan Changyuan Lico Co Ltd.
Sayona Mining Limited (ASX:SYA) (OTCMKTS:DMNXF) is pleased to announce it has lodged the drilling permits for the Phase 3 resource expansion drilling program at the Authier lithium project, Quebec. Sayona Mining Limited (ASX:SYA) (OTCMKTS:DMNXF) is pleased to announce that the $4.87 million one (1) for two (2) renounceable rights issue as announced on 28 September 2017 has closed heavily oversubscribed. Sayona Mining Ltd (ASX:SYA) (OTCMKTS:DMNXF) provides the Company&apos;s Full Year Statutory Accounts for the financial year to 30 June 2017. Sayona Mining Limited (ASX:SYA) (OTCMKTS:DMNXF) is pleased to report the positive results of a downstream processing Concept Study for the production of lithium carbonate and/or lithium hydroxide at the Authier lithium project in Quebec, Canada. Sayona Mining Limited (ASX:SYA) (OTCMKTS:DMNXF) is pleased to report the results from the second phase metallurgical testing program for the Authier lithium project. The results will be incorporated into the Update Pre-Feasibility Study. 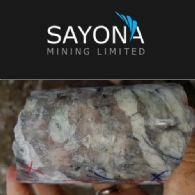 Sayona Mining Limited (ASX:SYA) (OTCMKTS:DMNXF) is pleased to announce that the work programs planned for the Updated Pre-Feasibility Study are progressing well. The results will be incorporated into the PFS Update to be completed during September. Sayona Mining Ltd (ASX:SYA) (OTCMKTS:DMNXF) provides the Company&apos;s latest Investor Presentation at Noosa Mining and Exploration Conference. Sayona Mining Limited (ASX:SYA) (OTCMKTS:DMNXF) is pleased to report the commencement of a downstream processing concept study following the successful completion of hydrometallurgical testing on Authier lithium concentrates. Sayona Mining Limited (ASX:SYA) (OTCMKTS:DMNXF) is pleased to report an exploration update at its Mallina spodumene pegmatite project in the Pilgangoora district of Western Australia. Sayona Mining Limited (ASX:SYA) (OTCMKTS:DMNXF) is pleased to advise that Independent Investment Research has a released a research report on the Company titled "Low Cost Near Development Lithium". The Company commissioned IIR to write this research report. IIR is an independent investment research house based in Australia and the United States. Sayona Mining Ltd (ASX:SYA) (OTCMKTS:DMNXF) is pleased to report the successful completion of a hydrometallurgical testing program on Authier lithium concentrates. Sayona Mining Ltd (ASX:SYA) (OTCMKTS:DMNXF) is pleased to advise that Australian financial services provider Patersons has a released a research report on the Company titled "A Board with Lithium Stripes". 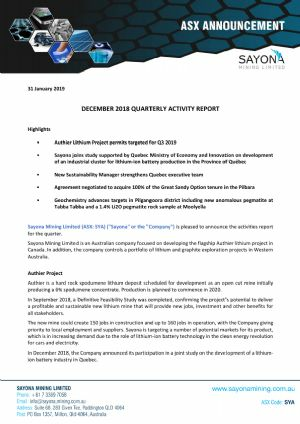 Sayona Mining Ltd (ASX:SYA) (OTCMKTS:DMNXF) is pleased to announce that work programs focused on enhancing the Authier project value and fast-tracking the permitting are underway. Sayona Mining Ltd (ASX:SYA) (OTCMKTS:DMNXF) is pleased to announce an updated independent JORC Mineral Resource estimate for the Authier lithium project. Sayona Mining Ltd (ASX:SYA) (OTCMKTS:DMNXF) is pleased to announce the commencement of its maiden drilling program at the Mallina project in Western Australia. Sayona Mining Ltd (ASX:SYA) (OTCMKTS:DMNXF) is pleased to report an exploration update at its Mallina spodumene pegmatite project in the Pilgangoora district of Western Australia. Sayona Mining Ltd (ASX:SYA) (OTCMKTS:DMNXF) is pleased to provide the Company&apos;s latest Investor Presentation titled "Developing an Advanced Lithium Project with JORC Ore Reserves and a Completed Pre-Feasibility Study". Sayona Mining Ltd (ASX:SYA) (OTCMKTS:DMNXF) is pleased to announce it has raised $1.5 million through an underwritten Share Purchase Plan. Sayona Mining Limited (ASX:SYA) (OTCMKTS:DMNXF) is pleased to report that boutique financial advisory services firm, Beer & Co, has published commissioned research and a valuation on the Company. 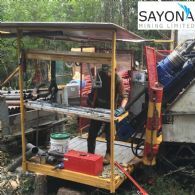 Sayona Mining Limited (ASX:SYA) (OTCMKTS:DMNXF) is pleased to announce the assay results from the remaining twenty six diamond drill holes completed in the Phase 2 drilling program at the Authier lithium project in Canada. Sayona Mining Limited (ASX:SYA) (OTCMKTS:DMNXF) advises that Directors have resolved to extend the offer of shares under the Shareholder Share Purchase Plan lodged with ASX on 21 April 2017. Sayona Mining Limited (ASX:SYA) (OTCMKTS:DMNXF) is pleased to announce that it has commenced work programs focused on significantly enhancing the value of the Authier project in Canada. Sayona Mining Ltd (ASX:SYA) (OTCMKTS:DMNXF) is pleased to report the initial rock chip assay results from the new Mallina East spodumene pegmatite discovery in the Pilgangoora district of Western Australia. Sayona Mining Limited (ASX:SYA) (OTCMKTS:DMNXF) is pleased to report the discovery of a significant zone of spodumene-bearing pegmatite in the eastern area of the Mallina project, in the Pilgangoora district of Western Australia. Sayona Mining Limited (ASX:SYA) (OTCMKTS:DMNXF) is pleased to announce the activities report for the quarter, including completion of the Authier Pre-Feasibility Study ("PFS"), reporting of a maiden JORC Ore Reserve, and commencement of the Phase 2 drilling program. In Australia, an initial soil and rock chip sampling program produced encouraging results. Sayona Mining Ltd (ASX:SYA) (OTCMKTS:DMNXF) is pleased to announce the appointment of Jonathan Gagne as Canadian Country Manager to fast-track the development of the Authier project in Quebec, Canada. The board of Sayona Mining Ltd (ASX:SYA) (OTCMKTS:DMNXF) is writing to you today with an offer to participate in a Shareholder Share Purchase Plan which entitles all shareholders to apply for parcels of new shares in Sayona valued between $500 and $15,000. Sayona Mining Ltd (ASX:SYA) (OTCMKTS:DMNXF) is pleased to offer eligible shareholders the opportunity to apply for new, fully paid ordinary shares in Sayona under a Share Purchase Plan. Sayona Mining Ltd (ASX:SYA) (OTCMKTS:DMNXF) is pleased to announce the assay results from the first five diamond drill holes in the Phase 2 drilling program at the Authier lithium project in Canada. Sayona Mining Ltd (ASX:SYA) (OTCMKTS:DMNXF) is pleased to report that resumption of exploration at its Mallina project has provided further encouragement for drill testing the target areas. Sayona Mining Ltd (ASX:SYA) (OTCMKTS:DMNXF) is pleased to announce it has signed an Option-to-Purchase agreement to acquire a tenement along strike to the east from the Authier deposit. The Directors present their report of Sayona Mining Ltd (ASX:SYA) (OTCMKTS:DMNXF) and its controlled entities for the half year ended 31 December 2016. Sayona Mining Ltd (ASX:SYA) (OTCMKTS:DMNXF) is pleased to provide the Company&apos;s latest Investor Presentation. 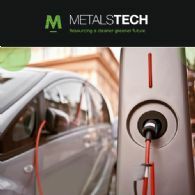 Pure play hard-rock spodumene-hosted lithium development company, MetalsTech Ltd (ASX:MTC) is pleased to announce exceptional results from a detailed surface channel sampling program in high priority drill target zones at the Company&apos;s 100%-owned Cancet Lithium Project in Quebec, Canada. Sayona Mining Ltd (ASX:SYA) (OTCMKTS:DMNXF) is pleased provide shareholders with a progress update on exploration and development activities. Sayona Mining Ltd (ASX:SYA) (OTCMKTS:DMNXF) is pleased to report the assay results from its first phase of sampling at the Mallina project, located in the worldclass Pilgangoora lithium district of Western Australia. Sayona Mining Ltd (ASX:SYA) (OTCMKTS:DMNXF) is pleased to announce a maiden Ore Reserve estimate based on the positive outcome of the Pre-Feasibility Study for the development of the Authier lithium project in Quebec, Canada. Sayona Mining Limited (ASX:SYA) (OTCMKTS:DMNXF) is pleased to announce the results of the Pre-Feasibility Study for the Authier lithium project in Quebec, Canada. The PFS was prepared by SGS Canada and Bumigeme Inc.
Sayona Mining Limited (ASX:SYA) (OTCMKTS:DMNXF) is pleased to announce the activities report for the quarter, including completion of the Authier Phase 1 drilling program, JORC Resource update, commencement of a metallurgical testing program and Pre-Feasibility Study ("PFS") for the Authier lithium project, Canada. In Australia, the Company completed an Option-to-Purchase contract to acquire projects from Great Sandy Pty Ltd, which includes newly discovered spodumene pegmatite and 871 km2 of exploration ground prospective for spodumene mineralisation. 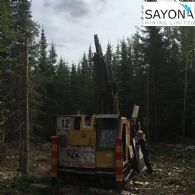 Sayona Mining Ltd (ASX:SYA) (OTCMKTS:DMNXF) is pleased to announce it has commenced Phase II resource expansion drilling program at the Authier lithium project, Quebec. Sayona Mining Ltd (ASX:SYA) (OTCMKTS:DMNXF) is pleased to announce that its first phase exploration program has commenced at the Mallina project which is located in the world world-class Pilgangoora lithium district of Western Australia. Sayona Mining Limited (ASX:SYA) is pleased to announce that it has secured another $1.07 million of funding from an extension of the previously announced underwriting agreement with SMSF Specialists (SA) Pty Ltd and further exercise of 3 cent options expiring on the 30 December 2016 ("Options"). Sayona Mining Limited (ASX:SYA) (OTCMKTS:DMNXF) is pleased to announce that it has secured an option from Great Sandy Pty Ltd ("Great Sandy") to acquire a 871 km2 package of tenements in the world-class Pilgangoora lithium district of Western Australia. Sayona Mining Limited (ASX:SYA) (OTCMKTS:DMNXF) announces that it is actively working towards completing the Authier Pre-Feasibility Study ("PFS"). 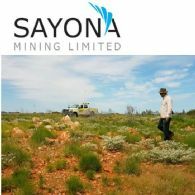 Sayona Mining Limited (ASX:SYA) (OTCMKTS:DMNXF) announces that it has executed an option underwriting agreement for $450,000 in respect of its listed 3 cent options expiring on the 30 December 2016 ("Options"). 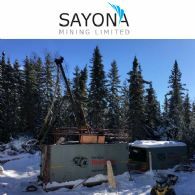 Sayona Mining Ltd (ASX:SYA) (OTCMKTS:DMNXF) is pleased to announce it has lodged the drilling permits for the Phase II resource expansion drilling program at the Authier lithium project, Quebec. 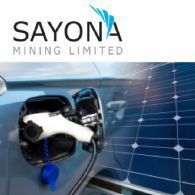 Sayona Mining Ltd (ASX:SYA) (OTCMKTS:DMNXF) is pleased to provide the company&apos;s Updated Investor Presentation with the topic "Charging Ahead at the Authier Lithium Project". Sayona Mining Ltd (ASX:SYA) (OTCMKTS:DMNXF) is pleased to announce an updated indepedent JORC Mineral Resource estimate for the Authier lithium project. Sayona Mining Ltd (ASX:SYA) (OTCMKTS:DMNXF) is pleased to announce the assay results from the final ten diamond drill holes at the Authier lithium project, Quebec. 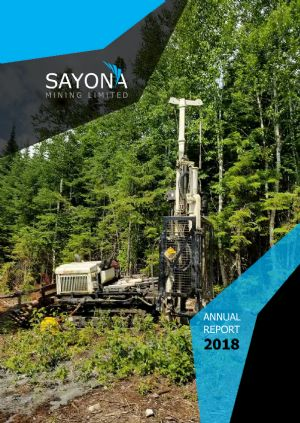 Sayona Mining Limited (ASX:SYA) ("Sayona" or the "Company") is pleased to announce an update on the development activities at the Authier lithium project, Quebec, Canada. 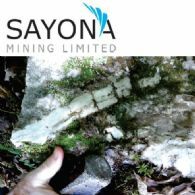 Sayona Mining Ltd (ASX:SYA) (OTCMKTS:DMNXF) is pleased to announce the assay results from the pegmatite discovered during the October drilling campaign. Sayona Mining Ltd (ASX:SYA) (OTCMKTS:DMNXF) is pleased to announce the assay results from a further 5 diamond drill holes at the Authier lithium project, Quebec. Sayona Mining Ltd (ASX:SYA) (OTCMKTS:DMNXF) is pleased to provide the company&apos;s Quarterly Activities Report for the period ended 30th September 2016. Sayona Mining Ltd (ASX:SYA) (OTCMKTS:DMNXF) is pleased to announce that drilling between the eastern and western resource zones in the main pegmatite has intersected a thick zone of spodumene mineralisation at the Authier lithium deposit. Sayona Mining Limited (ASX:SYA) (OTCMKTS:DMNXF) ("Sayona" or the "Company") is pleased to announce the assay results from its first diamond drill holes at the Authier lithium project, Quebec. Sayona Mining Ltd (ASX:SYA) (OTCMKTS:DMNXF) is pleased to provide its 2016 Annual Report to shareholders. Sayona Mining Ltd (ASX:SYA) (OTCMKTS:DMNXF) is pleased to announce an update on the first phase of diamond drilling at the Authier lithium deposit, Quebec. Sayona Mining Limited (ASX:SYA) (OTCMKTS:DMNXF) is pleased to announce it has discovered a new spodumene bearing pegmatite at the Authier lithium project, Quebec. Sayona Mining Ltd (ASX:SYA) (OTCMKTS:DMNXF) Directors present their report on the consolidated entity (group) consisting of Sayona Mining Limited and its controlled entities for the financial year to 30 June 2016. The information in the following operating and financial review and the remuneration report forms part of this directors&apos; report for the financial year ended on 30 June 2016 and is to be read in conjunction with the following information. Sayona Mining Ltd (ASX:SYA) (OTCMKTS:DMNXF) are pleased to provide the Company&apos;s latest presentation regarding the Authier Drill Program. Sayona Mining Limited (ASX:SYA) (OTCMKTS:DMNXF) is pleased to announce it has commenced drilling at the Authier lithium project, Quebec. Sayona Mining Ltd (ASX:SYA) (OTCMKTS:DMNXF) are pleased to provide the Company&apos;s Spotlight CEO Investor Sessions Presentation titled, "Charging Ahead to Develop The Authier Lithium Project." Sayona Mining Limited (ASX:SYA) (OTCMKTS:DMNXF) is pleased to announce the commencement of the Authier Pre-Feasibility Study ("PFS"). The PFS will assess the development potential of a simple, low strip ratio, open-cut mining operation and processing facility producing spodumene concentrate. Sayona Mining Limited (ASX:SYA) (OTCMKTS:DMNXF) is pleased to announce it has received the required permits to begin drill testing the Authier lithium project, Quebec. Sayona Mining Limited (ASX:SYA) (OTCMKTS:DMNXF) is pleased to announce the commencement of a metallurgical testing program at the Authier lithium project, Quebec. Sayona Mining Ltd (ASX:SYA) (OTCMKTS:DMNXF) are pleased to provide the Company&apos;s latest Investor Presentation at the Canary Networks Battery Materials Investor Roadshow. The Investor Presentation is titled, &apos;Charging Ahead to Develop the Authier Lithium Project&apos;. 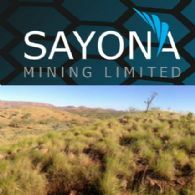 Sayona Mining Limited (ASX:SYA) (OTCMKTS:DMNXF) is pleased to announce the successful completion of the retail component of its 1 for 5 pro-rata accelerated non-renounceable entitlement offer to eligible shareholders. Sayona Mining Limited (ASX:SYA) (OTCMKTS:DMNXF) is pleased to report the details of the Authier work program which includes completion of a Pre-Feasibility Study ("PFS") and a resource definition drilling program. Sayona Mining Limited (ASX:SYA) (OTCMKTS:DMNXF) is pleased to announce that it continues to consolidate its lithium exploration ground holding with a new tenement application in the Moolyella district, Western Australia. 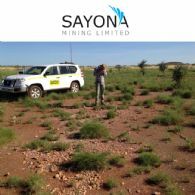 Sayona Mining Limited (ASX:SYA) ("Sayona" or the "Company") is pleased to announce activities for the quarter including advancement of technical and legal due diligence on the Authier lithium project in Canada, completion of a maiden drilling program at the Itabela in Brazil, and the first results of reconnaissance exploration work in Western Australia. Sayona Mining Limited (ASX:SYA) is pleased to announce it has completed the Authier lithium project acquisition for CAD$4 million. Sayona Mining Limited (ASX:SYA) is pleased to announce the successful completion of the accelerated institutional component of the non-renounceable entitlement offer which is fully underwritten by Lead Manager and Underwriter, Bizzell Capital Partners Pty Ltd.
Sayona Mining Limited (ASX:SYA) is pleased to announce completion of the Authier due diligence and entry into formal transaction documents for the CAD$4 million acquisition of the Authier lithium Project. The completion date for the transaction is the 21 July 2016. Sayona Mining Ltd (ASX:SYA) has binding agreement to purchase Authier for CAD$4 million. Sayona Mining Limited (ASX:SYA) is pleased to announce as part of its due diligence on the proposed Authier acquisition, an independent JORC Mineral Resource estimate, totalling 9.12 million tonnes containing 87,302 tonnes of Li2O. Sayona Mining Limited (ASX:SYA) is pleased to announce an extension of three weeks (until the 21 July 2016) to complete the Authier lithium acquisition In Canada, announced on the 3 May 2016. 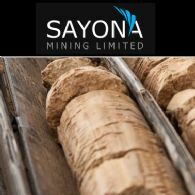 Sayona Mining Limited (ASX:SYA) is pleased to announce the results of petrological and metallurgical studies on graphite samples from the Corkwood project in the East Kimberley, Western Australia. Sayona Mining Limited (ASX:SYA) is pleased to announce that due diligence on the proposed Authier lithium project acquisition in Canada is nearing completion. 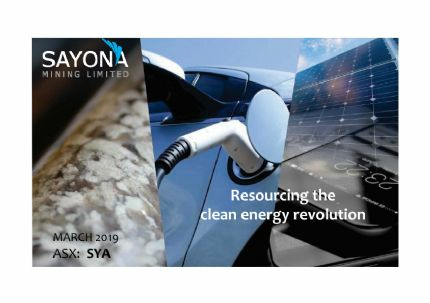 Sayona Mining Ltd (ASX:SYA) are pleased to provide the Company&apos;s latest Investor Presentation titled, "Advancing a Portfolio of Lithium Projects." Sayona Mining Limited (ASX:SYA) is pleased to announce that it is continuing to advance its lithium exploration programs in the Western Australia. Sayona Mining Limited (ASX:SYA) is pleased to announce the results from its first drilling program at the Itabela graphite project in Brazil. Sayona Mining Limited (ASX:SYA) is pleased to announce the results of an orientation rock sampling program at the Mt Edon project, Western Australia. Sayona Mining Limited (ASX:SYA) is pleased to announce it has signed a binding term sheet, subject to completion of a 60-day due diligence, to acquire 100 per cent of the Authier lithium deposit in Quebec, Canada. Sayona Mining Limited (ASX:SYA) is pleased to announce activities for the quarter including entry into the Western Australian lithium market, drill assay results from the East Kimberley graphite project and the completion of phase 1 drilling at Itabela in Brazil. Sayona Mining Ltd (ASX:SYA) are pleased to provide a Company Investor Presentation Update titled "Strategic Entry into the Lithium Market". Sayona Mining Limited (ASX:SYA) is pleased to announce that it is continuing to advance its lithium exploration portfolio with a new application of 140 km2 at Cooglegong, covering the northern part of the Shaw River tin field in the Pilbara district of Western Australia. Sayona Mining Limited (ASX:SYA) is pleased to announce that it has continued to advance its lithium exploration program, with recently acquired high resolution magnetic-radiometric data over the Mt Edon project identifying three prospective radiogenic pegmatite systems. Sayona Mining Limited (ASX:SYA) is pleased to announce completion of the maiden drilling program at the Itabela graphite project in Brazil. Sayona Mining Limited (ASX:SYA) is pleased to announce that it has continued to develop its lithium exploration strategy with two new tenement applications in the Pilgangoora district, Western Australia. Sayona Mining Limited (ASX:SYA) (OTCMKTS:DMNXF) is pleased to announce that it has secured a package of lithium prospective exploration tenements in Western Australia. 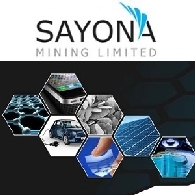 Sayona Mining Ltd (ASX:SYA) Directors present their report of the Company and its controlled entities for the half year ended 31 December 2015. Sayona Mining Limited (ASX:SYA) is pleased to announce an update on the drilling program at the Itabela graphite project in Brazil. Sayona Mining Limited (ASX:SYA) is pleased to announce the commencement of drilling at the Itabela graphite project in Brazil. Sayona Mining Limited (ASX:SYA) is pleased to announce the planning of a drilling program at the Itabela graphite project in Brazil. Sayona Mining Limited (ASX:SYA) is pleased to announce the assay results from its maiden Corkwood prospect drilling program at the East Kimberley project, Western Australia. Sayona Mining Limited (ASX:SYA) is pleased to announce activities for the quarter including the completion of the maiden East Kimberley drilling program and restructure of the Itabela Option-to-Purchase contract terms. 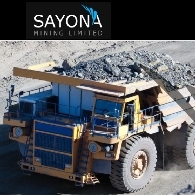 Sayona Mining Ltd (ASX:SYA) provide the latest Investor Presentation January 2016. Sayona Mining Limited (ASX:SYA) is pleased to announce that it has exercised its option to acquire the Western Iron tenement (E80/4511) at the East Kimberley project, Western Australia. Sayona Mining Limited (ASX:SYA) ("Sayona" or the "Company") is pleased to announce that is has restructured its agreement with Brasil Graphite SA ("Brasil Graphite"). Sayona Mining Limited (ASX:SYA) is pleased to announce the completion of the maiden Corkwood prospect drilling program at the East Kimberley project, Western Australia. Sayona Mining Limited (ASX:SYA) ("Sayona" or the "Company") is pleased to announce that drilling is intersecting broad zones of graphite mineralisation at the East Kimberley project, Western Australia. Sayona Mining Limited (ASX:SYA) reports that the Option-to-Purchase agreement announced on the 5 August 2015 to acquire the Itabela graphite project from Brasil Graphite SA expires today. 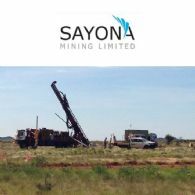 Sayona Mining Limited (ASX:SYA) is pleased to announce that drilling has commenced at the East Kimberley project, Western Australia. The reverse circulation drilling program has been planned to test the graphite potential of the Corkwood anomaly. Sayona Mining Limited (ASX:SYA) is pleased to announce a progress update on the East Kimberley and Itabela graphite projects. Sayona Mining Limited (ASX:SYA) ("Sayona" or the "Company") is pleased to announce activities for the quarter including securing options on two graphite projects and completing a $2.6 million capital raising. Sayona Mining Ltd&apos;s (ASX:SYA) primary objective is to identify and acquire graphite projects with large flake size potential and offering an achievable pathway to market. Flake size is a critical element in determining graphite pricing. Jumbo and large flake sizes attract premium pricing and are expected to be in strong demand, driven by the growing use in new technologies such as lithium-ion batteries. Sayona Mining Limited (ASX:SYA) is pleased to announce that it has successfully completed a 320 line kilometre Versatile Time Domain Electromagnetic ("VTEM") geophysical survey over the Corkwood Graphite project in the East Kimberley, Western Australia. Sayona Mining Limited (ASX:SYA) is pleased to announce that it has commenced a Versatile Time Domain Electromagnetic ("VTEM") geophysical survey over the Corkwood project area within the East Kimberley project, Western Australia. Sayona Mining Limited (ASX:SYA) is pleased to announce the results of test work, demonstrating that Itabela flake graphite is suitable for the production of a high-quality expandable graphite. Sayona Mining Ltd&apos;s (ASX:SYA) strategy is to source and develop high purity flake graphite for use in the rapidly growing, green technology sectors. Sayona Mining Limited (ASX:SYA) is pleased to announce the results of the Itabela graphite project pilot plant testing program conducted at Brazil&apos;s leading certified graphite laboratory, Fundacao Gorceix.